In the weekend of 22 and 23 September, the starting signal for one of the best-known and most enjoyable running events in the Netherlands went off: Dam-tot-Damloop! Whether it was the 8 km or the16 km run, joining and finishing was a great achievement. Especially in the 2018 edition when runner had to endure the cold and the rain. The crowd along the course was very supportive, as always. More than 30 runners, including board members of Anak finished this tough race and raised funds to support our educational programme. 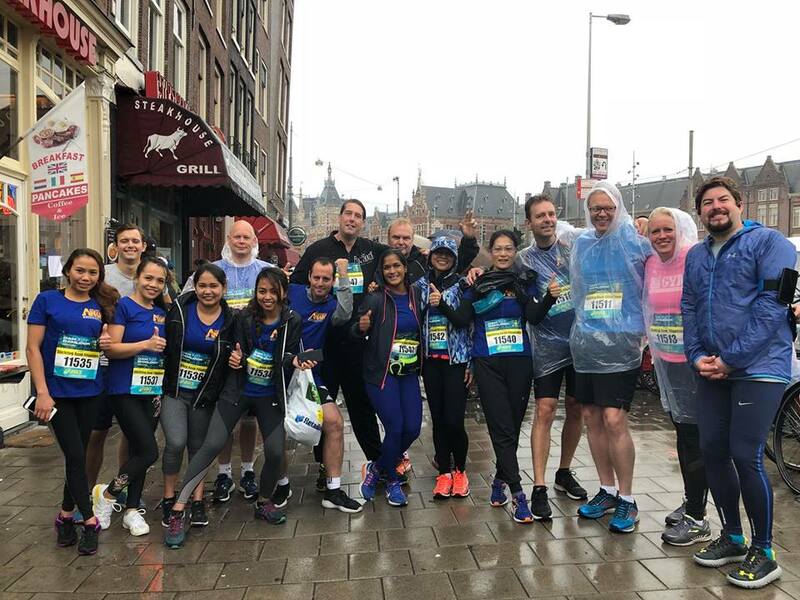 We would like to thank a few people in particular: our special thanks go to Dave van den Bosch (Aquasafe), who sponsored two complete themes and 20 employees of his company Aquasafe took part in the race and Caglar Kanber, who raised a wonderful amount to send more children in the Philippines to school. And of course we are very grateful to our volunteers, Lin Gab Gabbainan, Kathlyn Criste, Aileen Rivera Aja and Mark Mulder. We are already looking forward to next year’s run!